We are looking for a Non-consultant Hospital Doctor (NCHD) in General Medicine to work in the stunning location of Gibraltar on a short-term basis from 19th April 2019 to 5th May 2019. Applicants for the above post must have a minimum of three years’ experience in acute general medicine and related medical sub-specialties, including coronary care. MRCP would be an advantage. The proposed hours of work for the Medical NCHD’s include Monday to Friday, from 09:00 to 17:00, together with resident on-call activity 1 in 6. Candidates are expected to be competent in dealing with acute medical emergencies when on-call. The Gibraltar Health Service is organised and modelled on UK NHS and follows traditions of British medical practice. Applicants need to be registered with the UK General Medical Council, with a licence to practice and hold the right to work in the UK. Non-native English speakers must have a good command of English. Gibraltar is located at the mouth of the Mediterranean with easy access to the South of Spain and Morocco, as a British Overseas Territory, English is the main language with Spanish widely spoken. This post gives an opportunity for enthusiastic Junior Doctors to develop skills in a relaxed, friendly environment whilst enjoying the benefits of the Mediterranean climate and surrounding amenities. 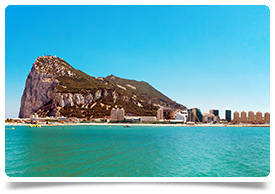 The rate of pay is £55 per hour in addition, economy class air-fares from the UK to Gibraltar return are reimbursed in full and accommodation is provided free of charge. Please note Gibraltar is outside of IR35 and you can work on a self-employed basis. If you are interested in this job and can fulfil the full dates of 19th April to 5th May, please get in touch with Allison on 0131 240 5287 or email allison@headmedical.com. If you have friends/colleagues who are interested in this post, refer them to us and if they are successful, we will pay you £500 as a thank you for each successful referral.